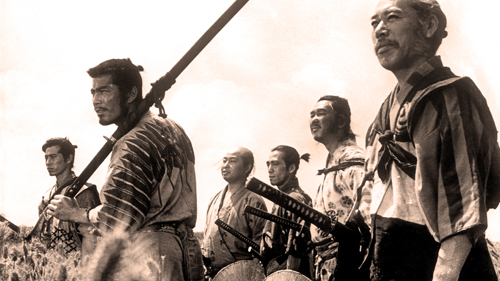 On December 4, Seattle will be hosting a film screening of Akira Kurosawa’s Seven Samurai for its 60th anniversary. In addition to celebrating the anniversary, the event will also introduce viewers to film veteran Richard D. Pepperman’s newest book Everything I Know About Filmmaking I Learned Watching Seven Samurai. Co-hosted by The Northwest Film Forum, Seattle Film Institute and Elliot Bay Bookstore, the event will begin at 7:00P.M. at the Northwest Film Forum. It will be shown in its full 207 minute presentation on 16mm film. In addition to the film, Pepperman will be giving a Skype introduction before the film. Pepperman is a film industry veteran with over 50 years of experience as an actor, editor and School of Visual Arts faculty member. An alum of the School of the Actor’s Company, Pepperman got his start in acting and joined the New York Poets Theatre Company in 1961. He then went on to film editing before being invited to join the faculty at the School of Visual Arts. He has also taught at Film/Video Arts (an Independent Film and Video Cooperative), the New School University and Pratt Institute. “Everything I Know About Filmmaking I Learned Watching Seven Samurai is my fifth book for Michael Wiese Productions,” Pepperman said. Lee then approached Pepperman about writing the book, a laborious process. The content was all there; Pepperman just needed to find it, Lee said. “I’ve come to realize as a writer that there is a process requiring time spent living with the work… Eventually the structure of this book changed so that it runs along with the chronology of the movie,” Pepperman said. Lee is excited about how the film screening event has come together. Pepperman has fond memories of his first time watching the film and of its legacy. Pepperman emphasized the importance of viewing the film in its full 207 minutes, the way it will be shown at the event. The original U.S. viewing in 1956 had been cut by 46 minutes. Pepperman hopes readers and viewers gain the fundamentals of filmmaking as well as a deeper understanding of what is happening on the screen. Seven Samurai will screen at the Northwest Film Forum at 1515 12th Ave. Seattle on December 4 at 7:00p.m.